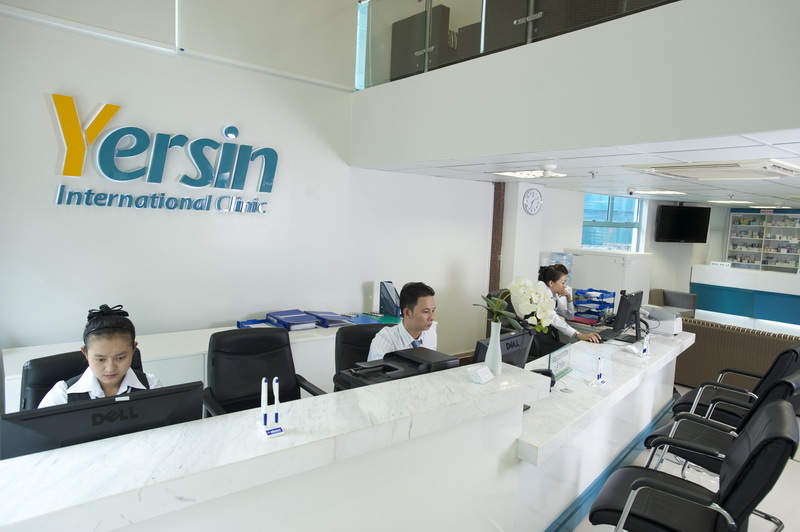 International Clinic Yersin is not just a medical facility but we try to be something more meaningful, like your second home, where our dedicated staffs work to assure you and your family a happy and healthy life. To do that, we do not simply wait for issues to come but actively screen and manage them before early symptoms can be noticed by patients. Many health chechup packages were designed for each individual or family groups and corporations. Let just say that a small amount of money spent on right tests will save you a fortune in the future. Do we need exams although having nothing wrong ? The human body is a marvelous machine, hundreds times more complex than the car you love.What makes you think your body can stay strong over the years without checks and routine maintenance as your car? 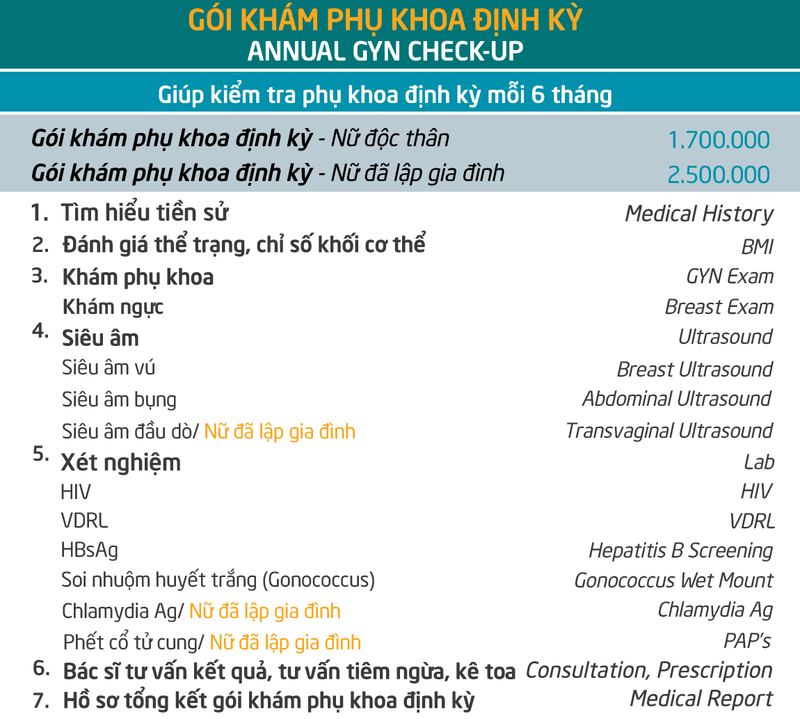 Indeed, general health checkup every 6 months to 1 year is to help you understand your body, to detect early signs of diseases and to manage appropriately before bad consequences may happen.When finishing the exam, you will be informed your status in details. A good result will bring you the peace of mind and confidence in life .Not very good results ? You're still lucky because we will have better outcome with early treament. 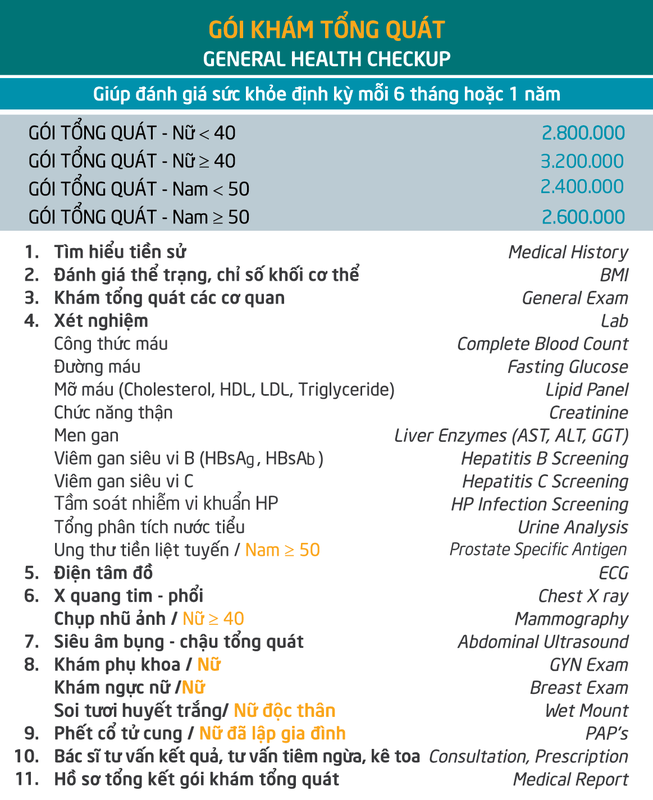 Who should have a general health check? For children, the perodical exam is not only for detecting disease, but also for monitoring their development, both physically and mentally. We provide evaluation of their growth as well as active immunization for protection of most common infections. Depending on age and health status of each child, our doctors will have recommendation for scheduled timelines. We can have some advices but you can check packages according to age and gender , as well as the purpose of exam. You can visit anytime, but the best timing is in the morning as we usually need patients fasting 6-12 hours for blood test. 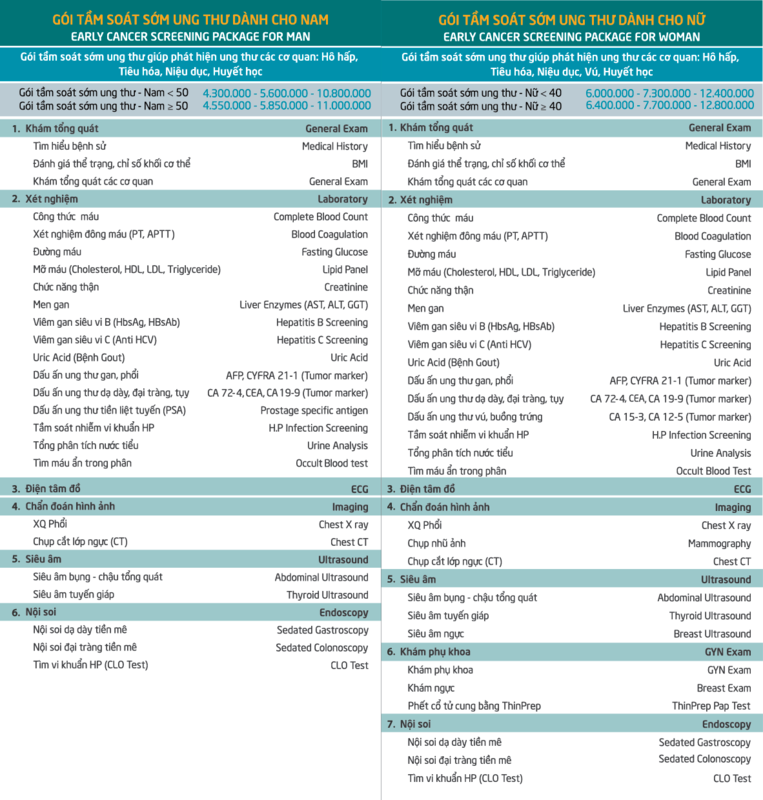 The time needed to complete one general health checkup is approximately 1.5 - 2 hours. You can and actually should talk comfortably and truthfully about all yours issues to receive a comprehensive consultation. In many cases, we may not have a final report right after the exam, due to some late test results. On your request, results may be sent by mail, email or fax later. During and after exams, we will be in touch by phone or email to inform specific details regarding your visit. When you select a package, the whole package cost savings of about 30% compared with separated orders. When the exam is completed, you will receive the results by mail, email, fax or can actively view and search results tests through the clinic's website. To be the symbol of smile, our clinic is committed to providing an excellent customer care, including professional consultation with our staffs. Our doctors are managing and supplying patient-centered care without over-usage of drugs and tests. We encourage the treament with respect , eliminate not only the pain but also the fear, the anxiety thorough detailed explanation and education.